Guillermo Del Torro’s sensational The Shape of Water has triumphed at the 90th Academy Awards, overcoming all odds to win the Best Picture award. Despite still competition from Get Out, Three Billboards and Dunkirk, the little monster movie that could has taken the Oscar’s biggest prize leaving everyone else in the cold… water. The film stars the magnificent Sally Hawinks and the criminally underrated Doug Jones as two star-crossed lovers separated not by house but by species. Basically, Sally is a human while Doug’s a Hammer Horror monster who the Academy accidentally nominated because they were either confused by the gorgeous score or the director’s name. 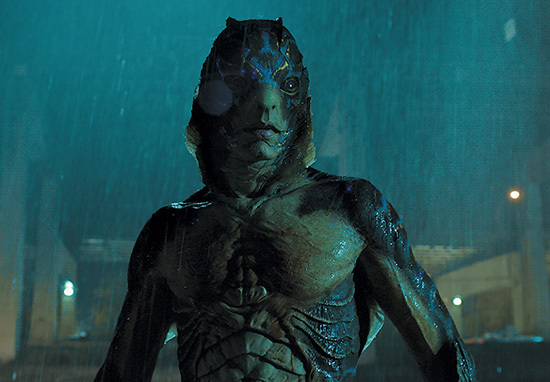 The Shape of Water is the first monster movie to ever win the best picture award and is the first horror since The Silence of The Lambs to take the prize. It’s not hard to see why the Academy opted to give Del Toro this award, considering the incredible use of set design, CGI and make-up to lyrical effect. Just last month, The Shape of Water received the BAFTA for Best Direction amid a similarly high calibre of films, though undoubtedly the lingering emotional clout helped the film stand out above the rest. The film was no doubt bolstered by a timely message about acceptance of The Other in the face of political uncertainty, and the acceptance of people despite their differences.